Home event offtopic So Muhammad Ali is Irish !? 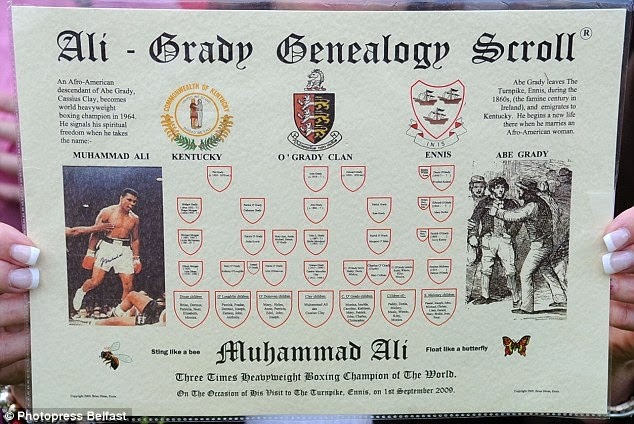 So Muhammad Ali is Irish !? If you are living on the Emerald Island, and in the Banner county in particular, it is quite difficult to ignore that Muhammad Ali is coming on the 1st of September in the Information Age Town (everything is decoded below). My off topic category is there for events like this. 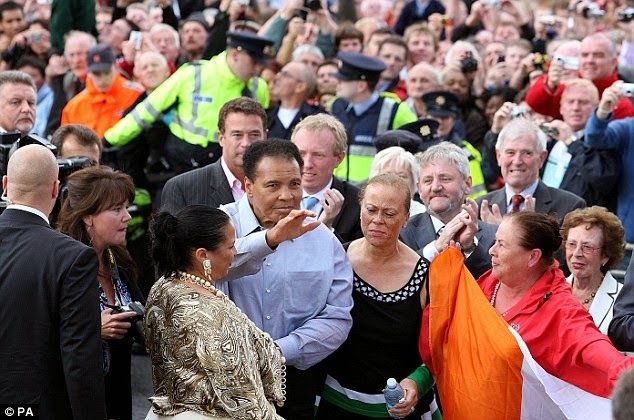 3.00pm - Civic Reception at Waterpark House, Drumbiggle (Muhammad Ali will embark on drive through Ennis town following this event). Please note that the Civic Reception is a closed event. 3.00-4.30pm - Street entertainment at O'Connell Square, Abbey St. and O'Connell St.